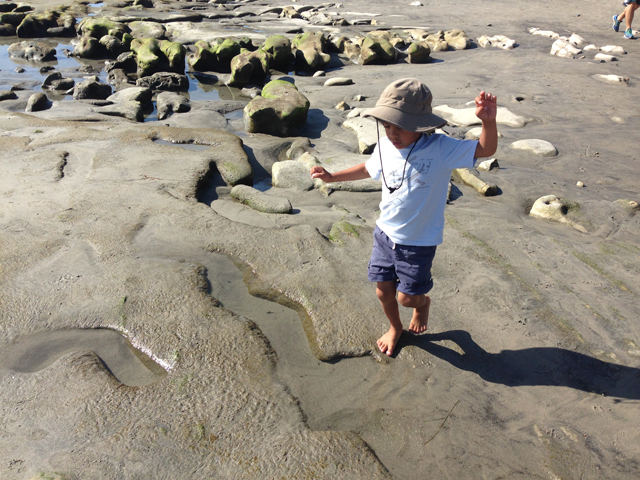 Since moving to San Diego, we have become great fans of tide pools here. The hours we spend on the beach remind me of my childhood in Southern Florida searching the white sand beaches of Sanibel Island in search of shells and sea glass. 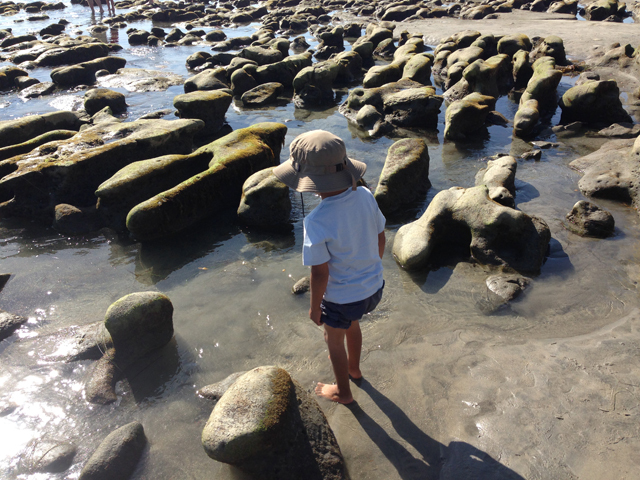 Rowan and I spent a lovely late afternoon wandering the tide pools of Carlsbad here in San Diego. 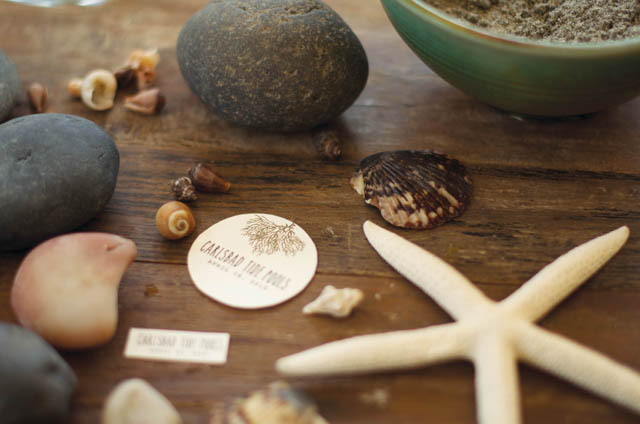 Tide pools are rocky areas on the oceans coast that at low tide act as habitats for small sea creatures like sea urchins, sea anemones and hermits crabs. Low tide reveals a wonderland of sea life and shells plus along with its warm shallow waters, it is a refreshing playland for my 4 year old. Rowan has been quite afraid of the rough, waves of Southern Califonia, but at low tide that all changes and he is happy and delighted. 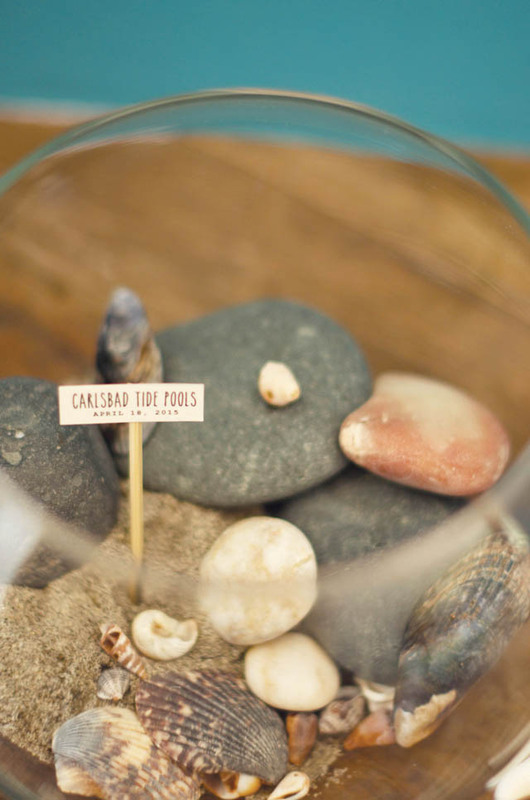 We brought home some shells and sand from the beach and made little container gardens with them. A great way to reflect on the day and learn about the things we had found. 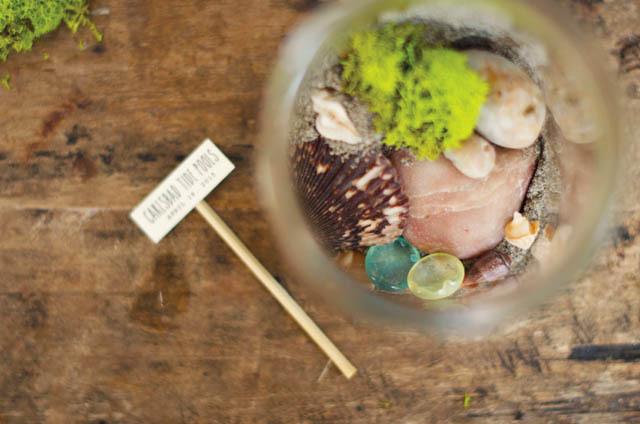 Arrange all of your sea treasures in a glass jar. 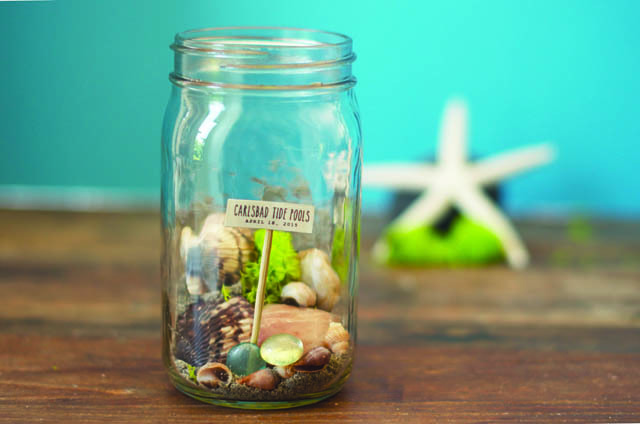 Create a bottom layer of sand. 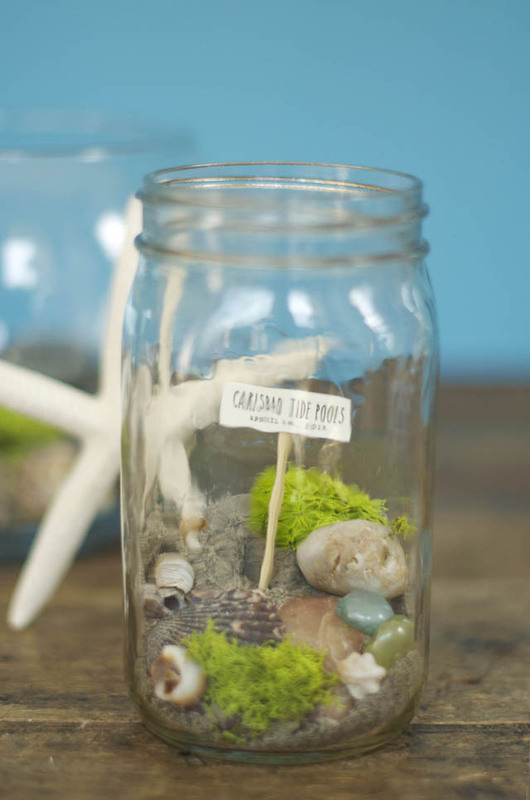 Then add your largest rocks along the bottom or back of the jar for height. Sprinkle small shells as your last layer.